Create, collaborate, and schedule social media posts with Planable. 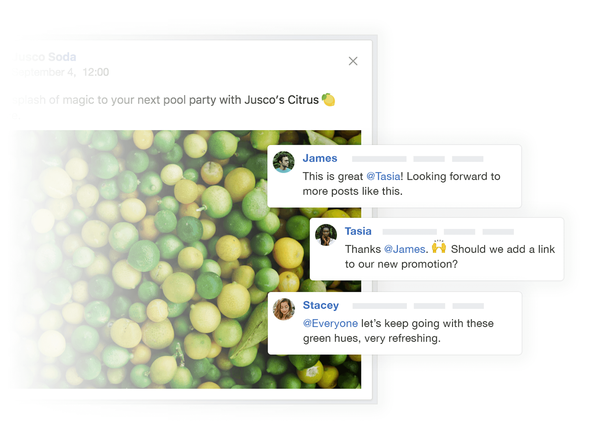 Planable gives agencies and social media teams the power to create, review, and schedule content for Facebook, Twitter, Instagram, and Linkedin all from a single dashboard. "Well, I brainstorm on sticky notes, write ideas in a spreadsheet, discuss them with clients in roughly 23 email exchanges, transfer files via Google Drive, and then post on fake social media accounts to preview content." But, the founders of today's deal knew there had to be a better way. So, they built one. Planable gives agencies and social media teams the power to create, review, and schedule content for Facebook, Twitter, Instagram, and Linkedin all from a single dashboard. 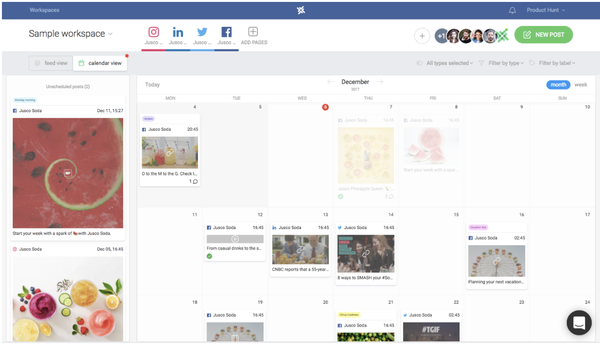 Not only is Planable the most visual platform to plan and collaborate your social media calendar, but it keeps content in one, perfectly organized place so you can work more efficiently. Planable helps you avoid surprises by allowing you to see exactly how a post will look before pushing it live across your social networks. Normally, one year of access to the Planable Premium Plan is $588. That’s a whole lot of social media efficiency in one plan! But, my dear MAG Fans, it gets sweeter. With this deal, you can get lifetime access to the Planable Premium Plan for just $39! Get the Planable Premium Plan right here! Other social media scheduling tools do just that: schedule. But with Planable, you can visually plan and collaborate on social media feeds before publishing any content. Not only will this social feed mock-up capability give you total control of each post, but the Planable Calendar will also give you the power to see all of your content, across the pages in a monthly or weekly view. Schedule only the posts you deem worthy. Whether you're an agency, social media manager, or just running a second Instagram for your dog, Planable is perfect for you. With Planable, you can finally collaborate on all your social media content and get that #synergy going. Stop wasting your (and your client’s) time going back and forth on every post and grab lifetime access to this unbeatable social media tool for just $39! Click here for the Planable Premium Plan!